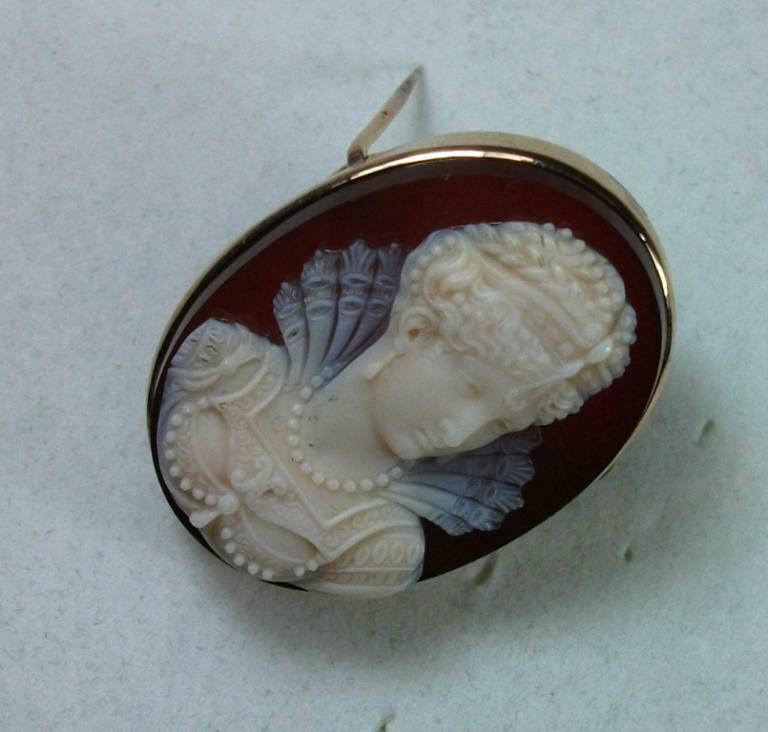 Material: Hard Stone, 9k gold tested. 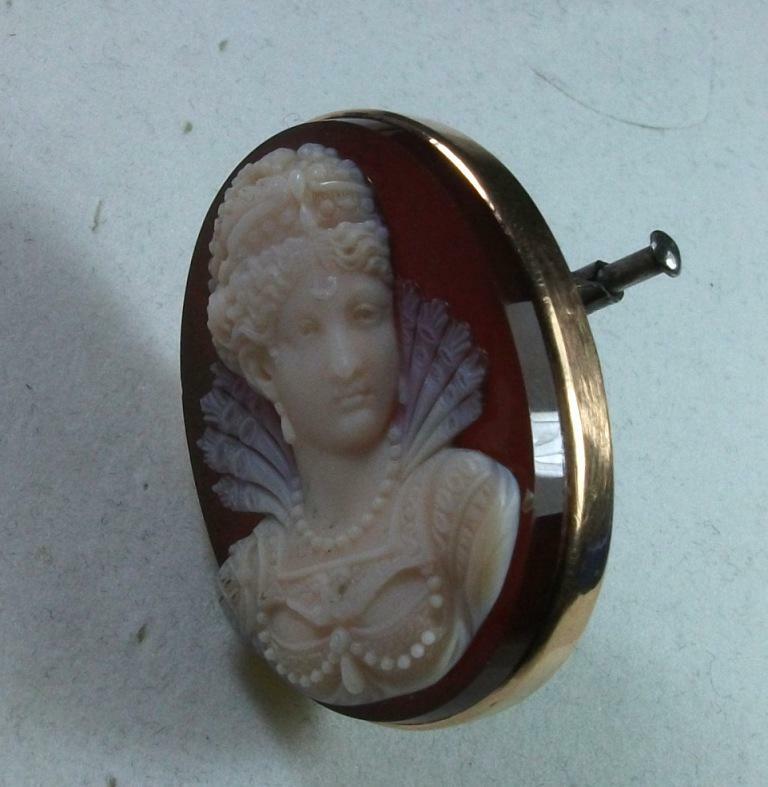 Size: 1 3/8" by 1". 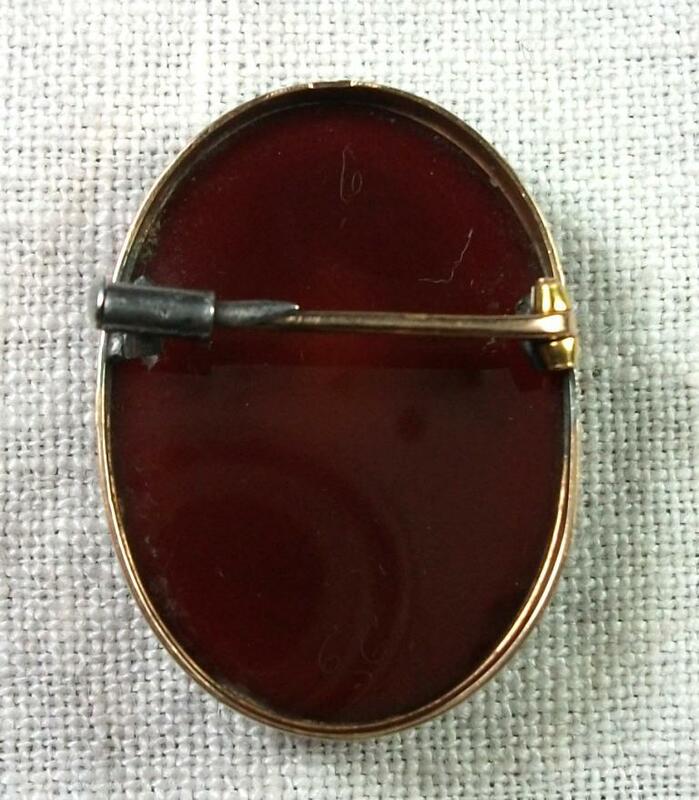 Conditions: Mint, two traces of soldering on the back frame close to the pin and clasp. 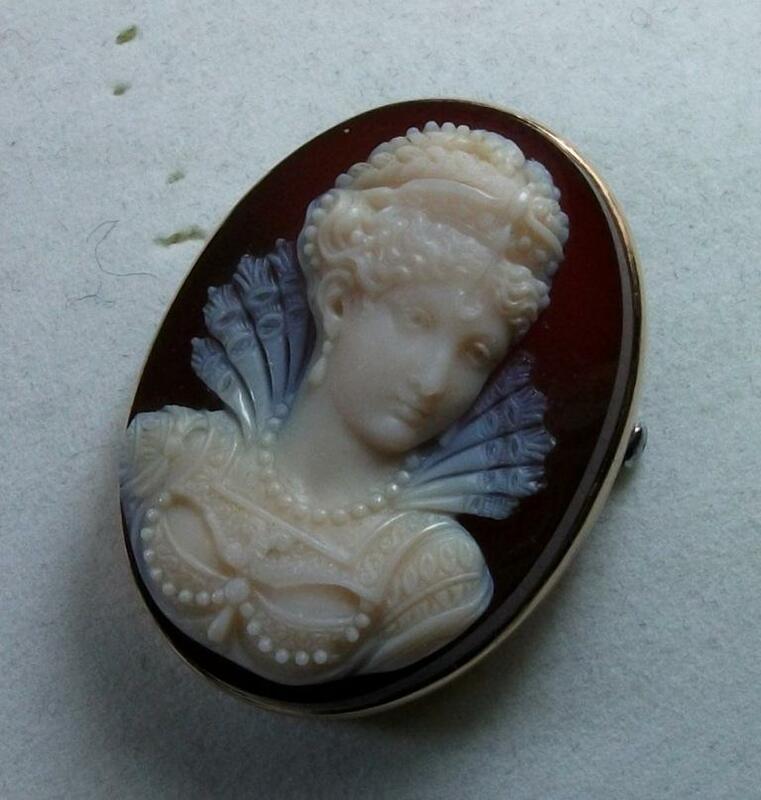 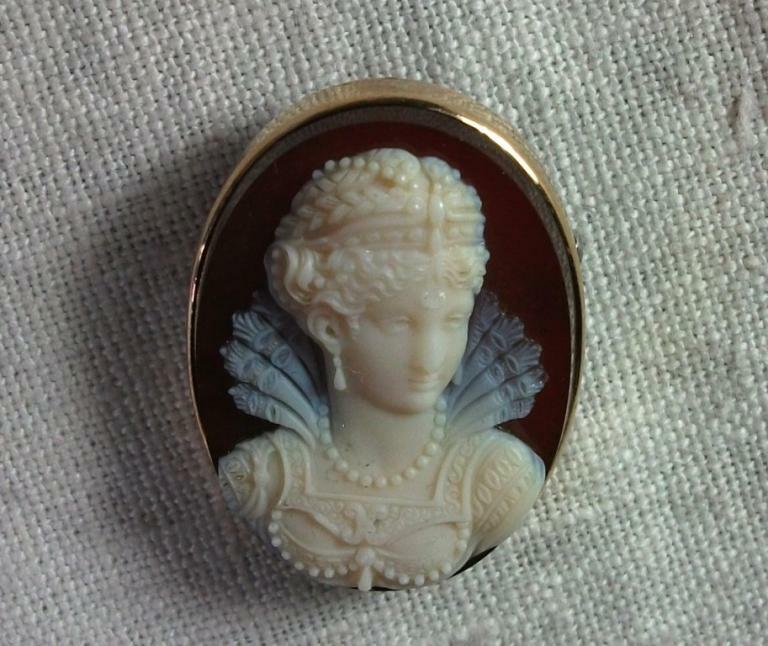 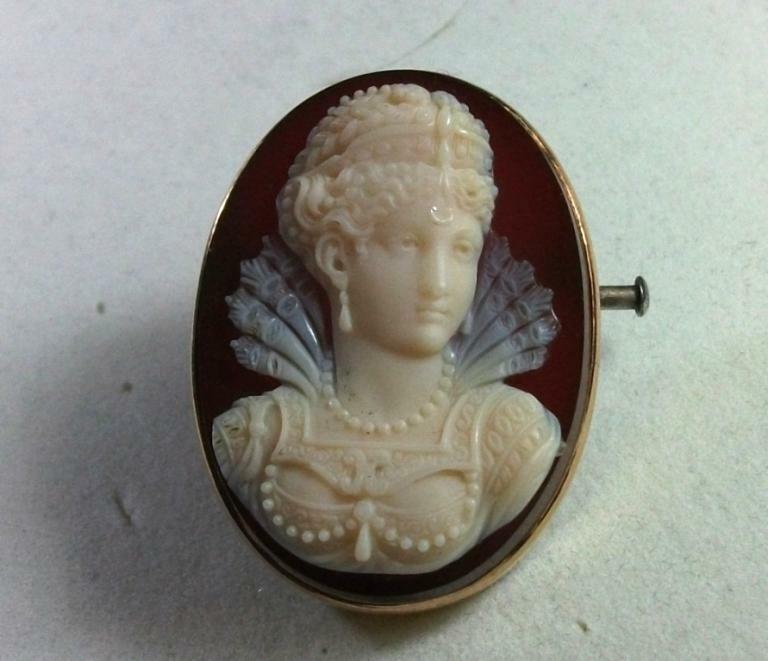 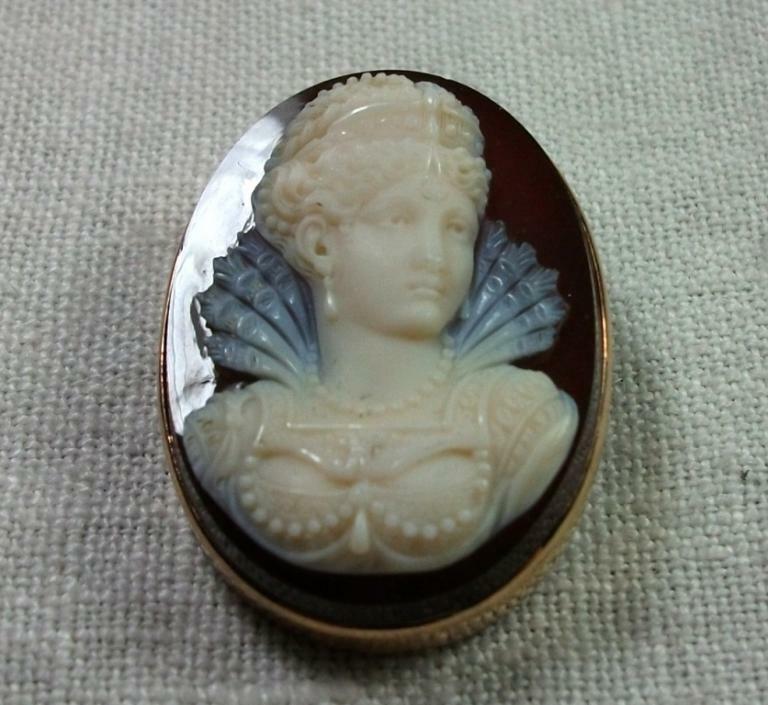 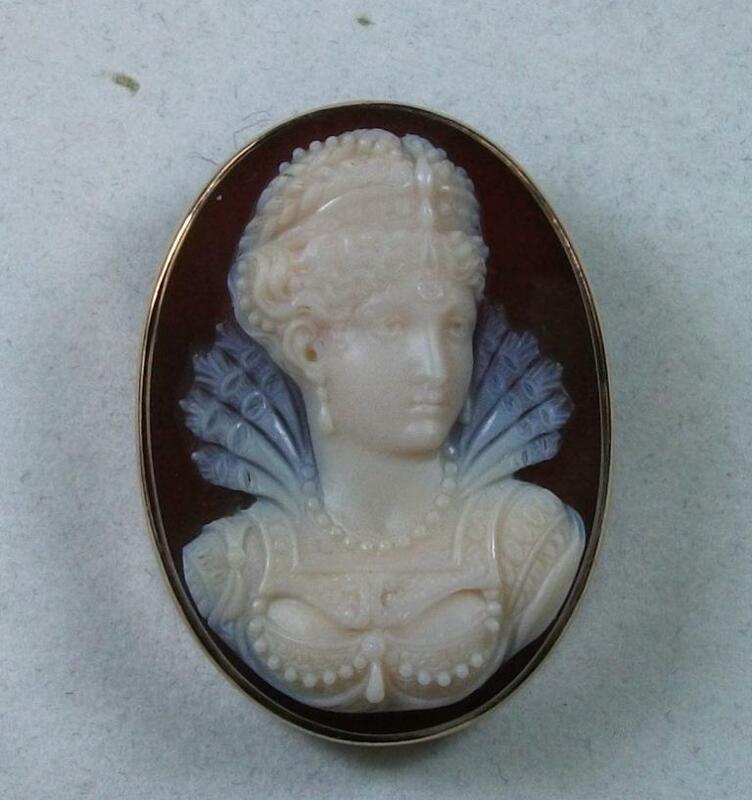 Museum Quality cameo depicting a princess from Renaissance era. 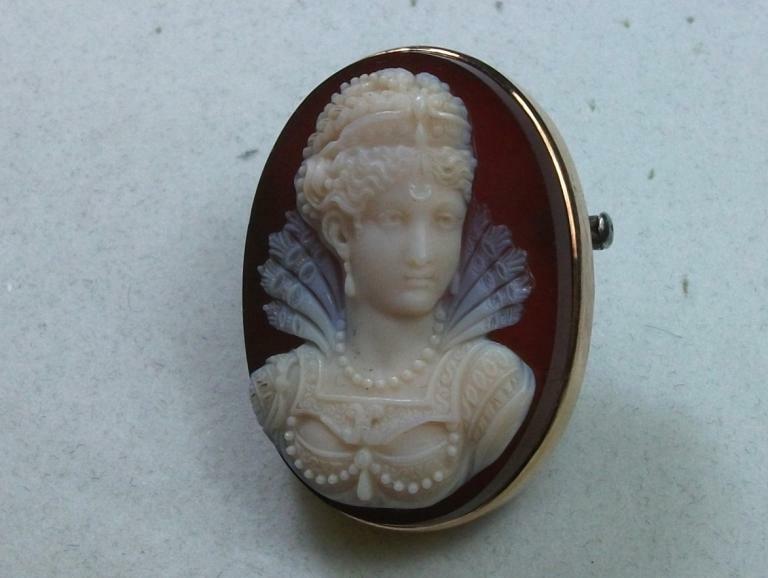 Her clothes recall the Elizabethan style and are superbly made. 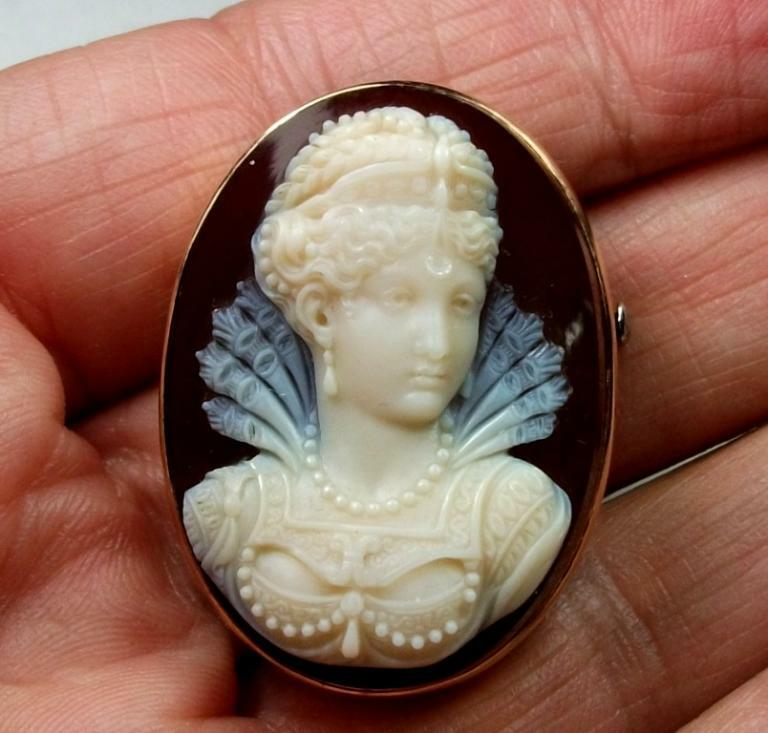 This cameo is full of stunning details amazingly made as her hairstyle, braided and lifted up, her hear is crowned and a pendant falls on her forehead. 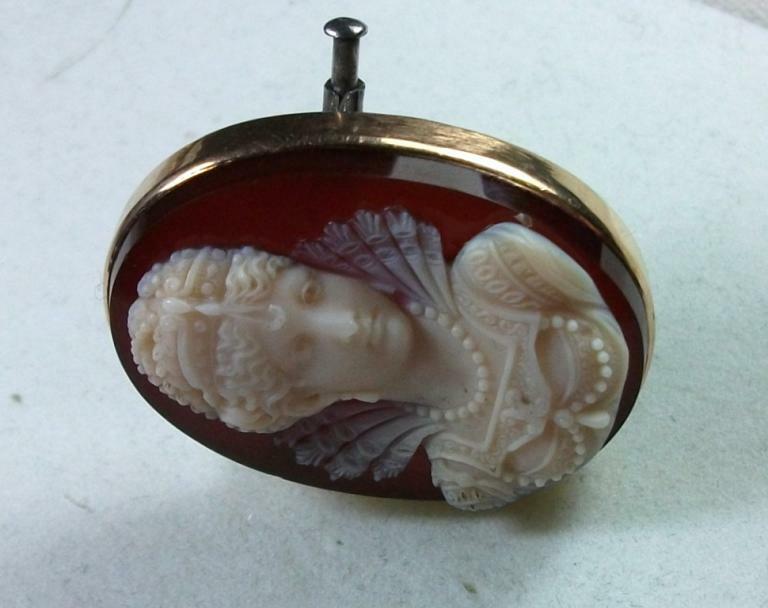 Her face is pretty and well proportioned, she is wearing pendant earrings and a beaded necklace. 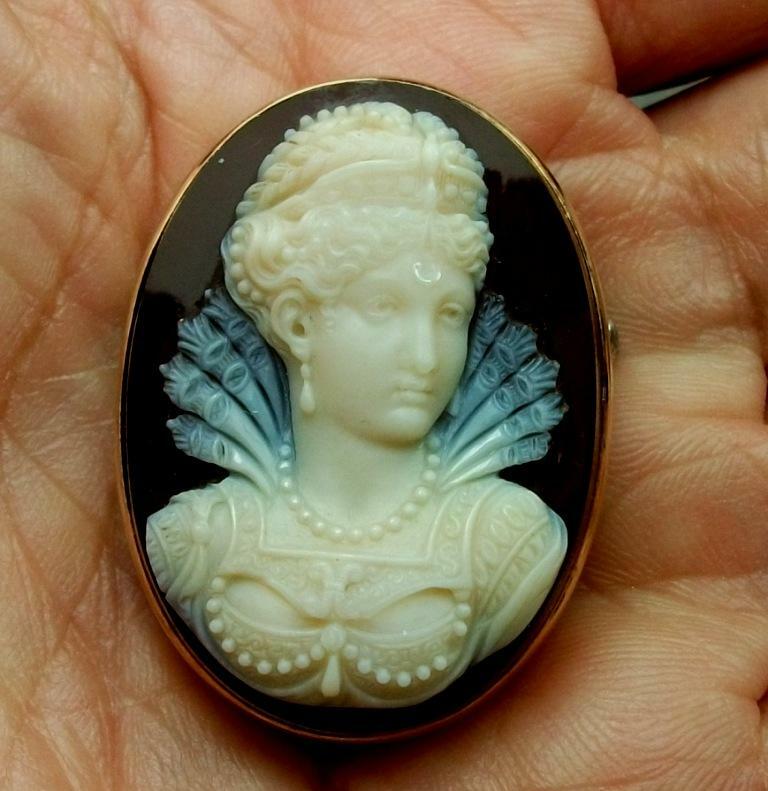 Her neck comes out from a lace collar gorgeously carved. 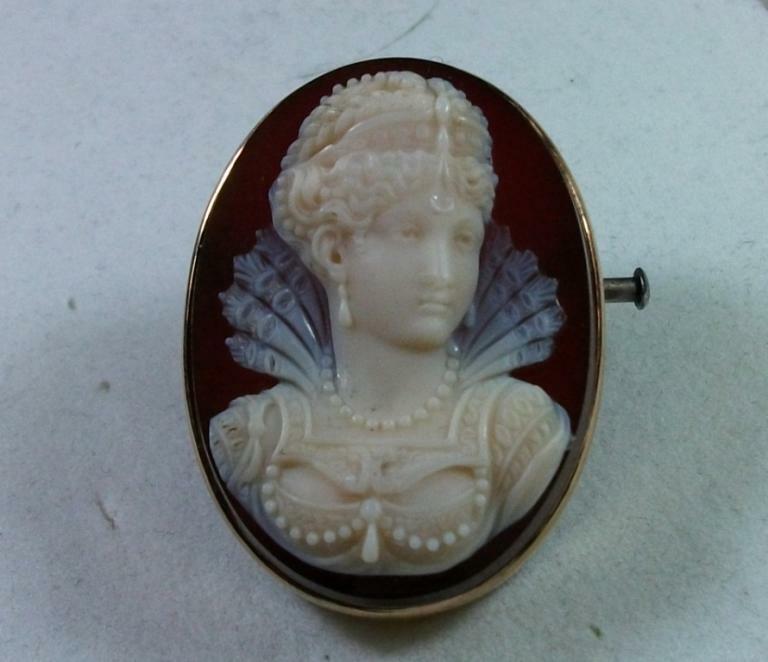 Her dress is embroidered and enriched by another beaded necklace centered by a drop pendant. 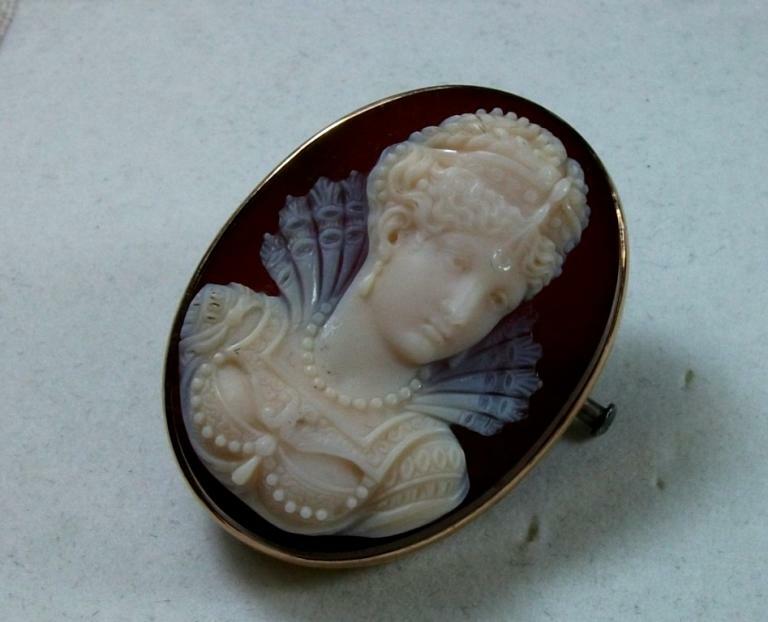 Carving all these details is not easy and the artist made an incredible work making them so finely. 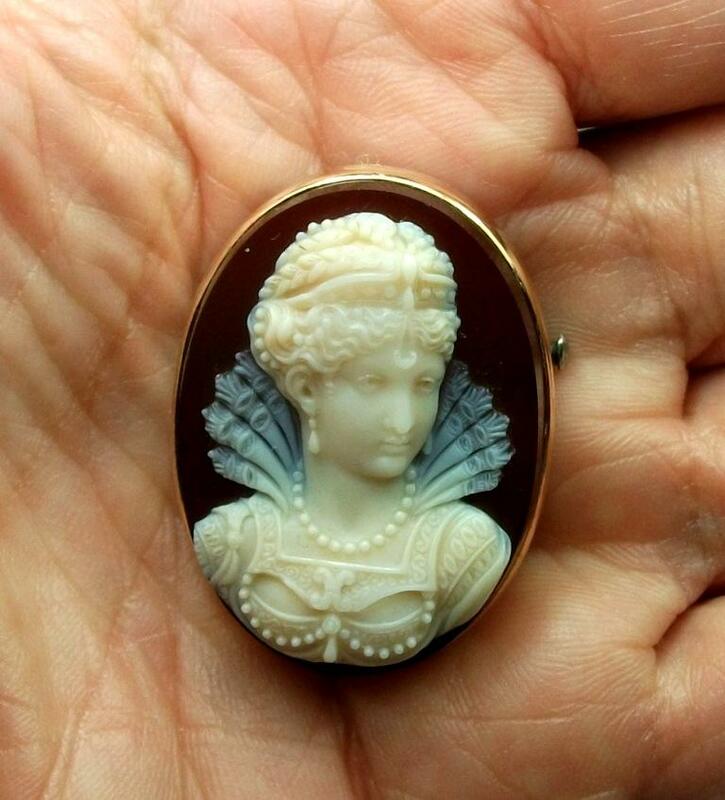 This is another rare and wonderful cameo for all the collectors, not to be missed.